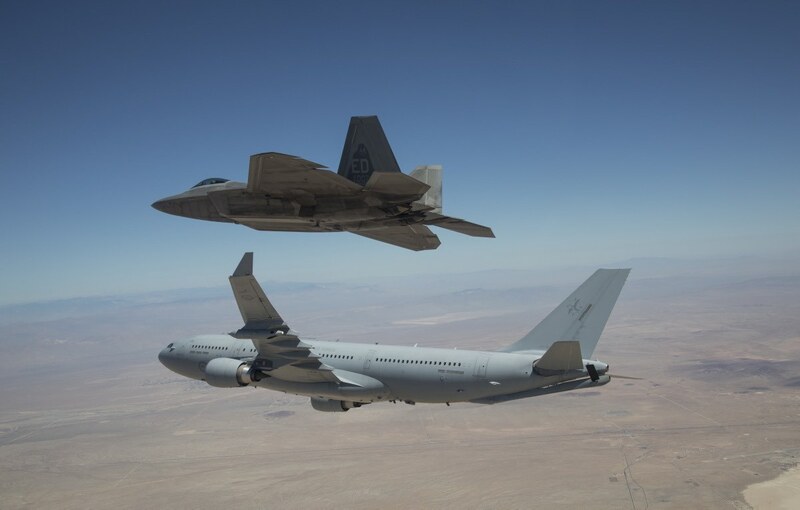 An RAAF Airbus KC-30A Multi-Role Tanker Transport (MRTT) has completed refuelling clearance trials with a US Air Force Lockheed Martin F-22A Raptor, adding another type to the type’s growing list of authorised receiver aircraft. The trials were conducted in August and September from Edwards AFB and the nearby Mojave Desert ranges in California. Eight missions were flown in total with the F-22 in different load configurations. 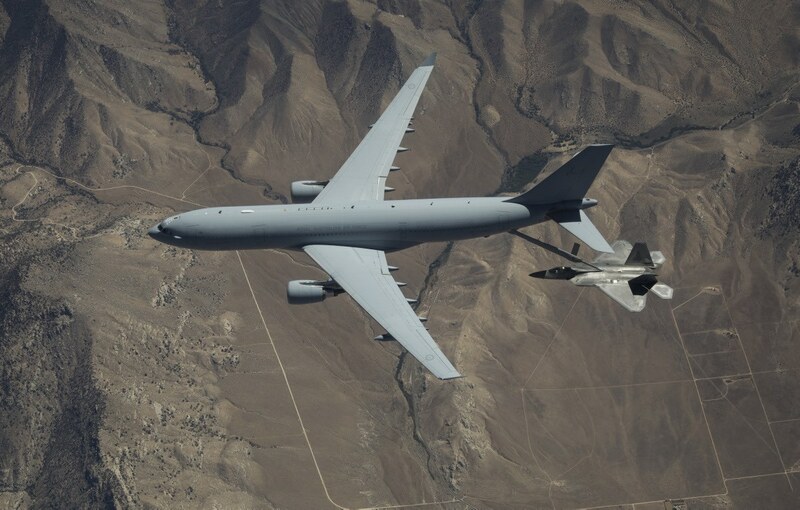 The resulting instructions from the trials will allow the KC-30 to refuel the F-22 in future exercises and coalition operations. So are there any allied or aligned military jets that the KC-30A / 330MRTT is still not certified to refuel? Not many (if any) jet platforms left to be authorised for refuelling by the KC-30A (330MRTT) platform.